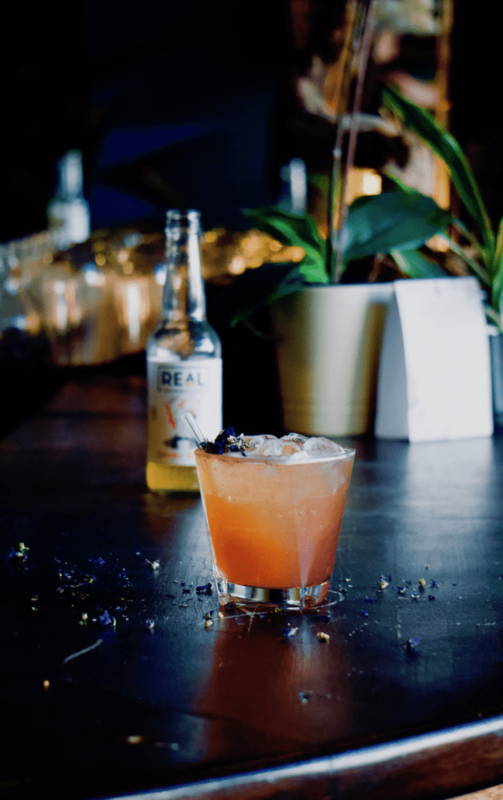 As London Cocktail Week comes into focus, kombucha cocktails are really grabbing the attention. 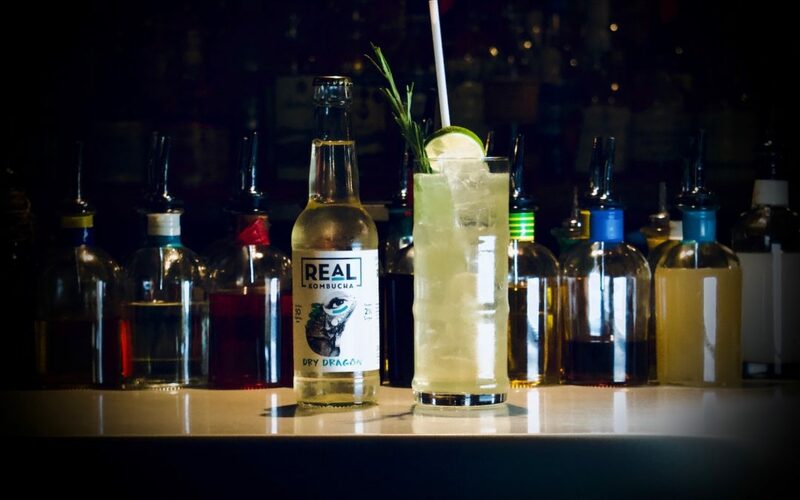 Mixologists all over the country are starting to realise just how well the acidity in this amazing fermented drink binds their flavours together, whether they’re making something more traditionally punchy, a low ABV cocktail, or even something to serve the growing number of people choosing not to drink alcohol. So, whether you’ve already got an appetite for delectable kombucha cocktails, or you’ve yet to try one, the following is a list of the best kombucha cocktails in the UK (that we know of). Be sure to let us know if you try one out. You’ll find us at these links on Instagram, Facebook or Twitter. One of the hardest things about changing the way you drink is the lack of choice. If you're not drinking, you don't want a sugary soft drink served with a straw. 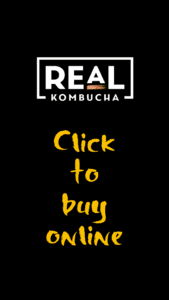 For the finest in non-alcoholic fermentation, pour yourself a glass of Real Kombucha. Brewed for open minds. Let’s start with one of our very own. This is the Royal Bellini, one of our signature serves. 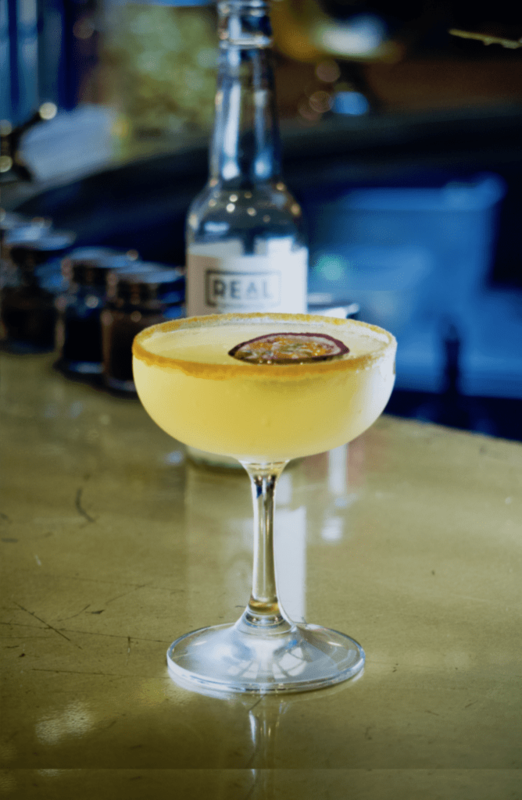 You’ll find it served in a number of London’s best bars, where its mixture of peach syrup and Royal Flush kombucha is going down an absolute treat. A simple, subtle serve, and the ideal alternative to the champagne cocktail for anyone choosing not to drink. Introducing the Indian Summer Spritz, one of two kombucha cocktails being served at Boki for London Cocktail Week. The glass is rimmed with a passion fruit butter, while the drink itself is a delicate combination of Real Kombucha’s Royal Flush, Lillet, Cartron Crème De Pêche De Vigne De Bourgogne and Suze Liqueur. Order this kombucha cocktail at Boki, Seven Dials. It’s not enough for many mixologists just to bang a few liquids together in a cocktail shaker. Some of our favourite kombucha cocktails involve homemade concoctions, unique to the creator, that you’d be hard-pressed to find elsewhere or recreate for yourself. This amazing drink, served on London’s Portobello Road, contains a mango and cardamon tea syrup that is so good your tastebuds will be demanding an encore within minutes. They’ve mixed in a splash of lime juice, as well as Real Kombucha’s Dry Dragon. Prepared especially for London Cocktail Week. Get it while you can. Order this kombucha cocktail at Trailer Happiness, Notting Hill. A visit to the King’s Head Cocktail Bar on Fulham High Street is worth it just for the slightly out-of-this-world decor, but add in one of the most mouth-watering kombucha cocktails we’ve ever seen, and you’ve got something really worth leaving the house for. It is mainly pineapple and Smoke House (hence the smokey locomotive motif), but there’s cranberry, lime, elderflower and All Spice in there for good measure, just to take you on a really sensual journey. Order this kombucha cocktail at The King’s Head, Fulham. This was the first of the many kombucha cocktails that we’ve tried over the last year, and it really knocked our socks off. The ginger gives it a warmth that works well on a winter’s night, but the crushed ice and the pepper garnish really hit the spot at the height of summer. Order this kombucha cocktail at The Pig Hotel near Bath. The French Summer Spritz is a passion fruit Lillet mixed with a Real Kombucha Royal Flush, and it’s all kinds of decadent. 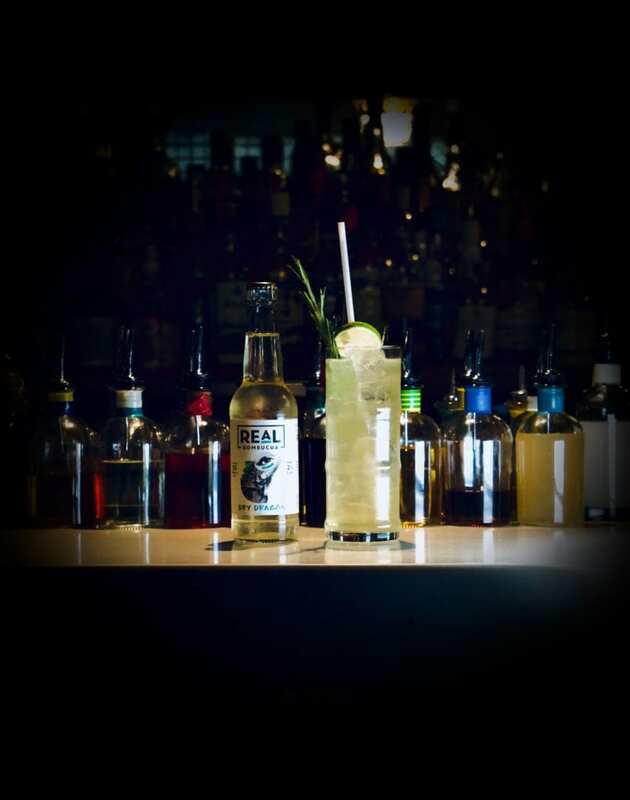 It’s a low ABV serve, and you’ll find it at Crucible, London’s coolest drinks innovations hangout. This kombucha cocktail was made at The Crucible, London. This serve, created by Martin Balo at London’s famous Groucho Club, is a veritable explosion of refreshing summer flavours. We’re talking fig syrup, we’re talking fresh lemon juice, we’re talking muddled masses of blackcurrant and cherry, we’re talking oranges, and of course we’re talking Real Kombucha’s very own Smoke House. Pass the ice bucket… we’re done. This kombucha cocktail is served at London’s Groucho Club. If you’re a fan of kombucha cocktails, bookmark this page. We’re hearing about new ones all the time, and we’ll be giving them a write up here as often as we can.